Nestled among old growth Redwoods practically smack dab in the middle of Napa and Sonoma, this property is your ticket out of the city, and into serenity. Picture yourself walking among old growth Redwoods, coffee in hand, the sound of a creek rustling by, deer crossing your path, sun shining through the towering trees, a warm breeze blowing by, and nobody around…for miles. No taxis, no buses, no trash, no fog, no nothing…just nature. Sounds great, right? Here’s the catch. It needs work…quite a bit of work. BUT! With a little creativity, vision, and patience, 4520 Redwood Road, Napa could be made into your very own, unique, escape, different from all of your friends’ typical Napa or Sonoma Vineyard homes. 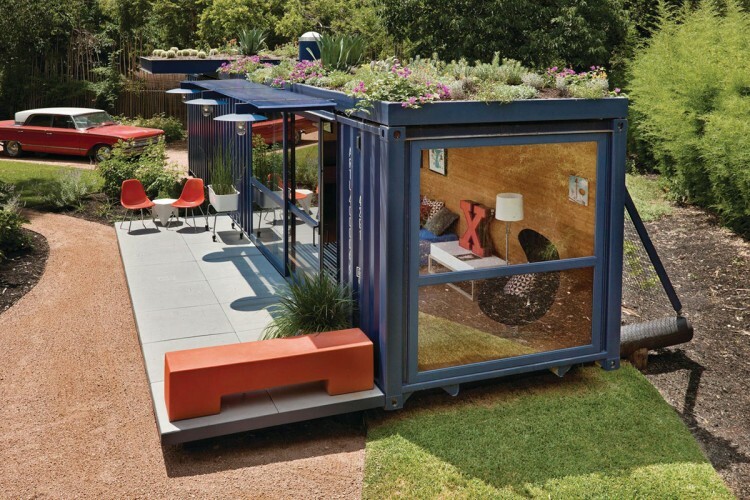 or shipping container made mostly of glass, put your bathroom in the woods (surround it in glass too, nobody will see you), put a “Beware of Dog” sign on your very own bridge (even if you don’t have a dog), and live the life you simply can’t do here in San Francisco. Secluded. Away. Off the grid. John Muir would be proud of you for escaping the city and living in the woods. Your friends would envy you. AirBNB or VRBO could fund you. And your hipster status would be off the charts! And when you get tired of it…it’s only an hour’s drive to come back. Happy Holidays From My $75,000,000 Weekend Retreat At Lake Tahoe! I am the former owner of this place. No doubt, the trees are lovely. But the bridge, though part of the property, is not your own. It’s shared with the two neighbors on either side. The one to the west is not a very nice guy and has been very aggressive in pushing his development agenda, which includes tearing out a lot of the lovely trees and cutting into the hillside at the edge of the creek bank. His driveway will run right in front of this house. Love the prefab idea, but you’d have to build a new bridge first to support the weight to get it across the creek. Hey there “Bronson” I am interested in buying this property and would like to get more information about this property. Could you email me at piombo@me.com Thanks!